When there are special characters in linkText attribute, Java application using 2013 Tridion renders the link text and link without issues. 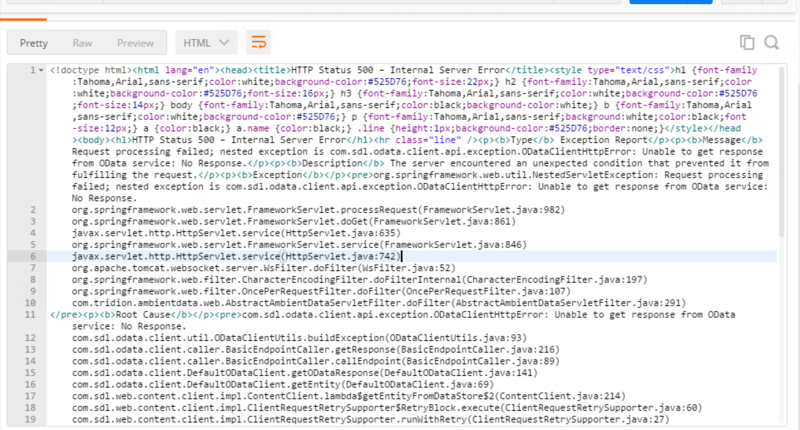 When the same pageLink is being rendered in 8.5 Tridion, the link in java application is not rendered. There are no errors in micro service logs. Question Can this be an issue with the Tridion API used in java application, fetching data with encoded special characters? I think the issue is only with the slash special character. Rest of the special characters are fine. For instance, if I call the getLinkAsString method (getLink method in your Java code snippet will be calling getLinkAsString I suppose) like the below code snippet, I am able to get the page URL. Note the link text property has no backslash before the span tag. But when there is a slash in the link text property, an exception is thrown. There is a way to allow for slashes and the answer to that is here: Web 8 DXA 1.5 Java web site failing with "Unable to get response from OData service". We basically have to update the JVM args of the content microservice to allow slashes. After uninstalling and installing the content service with the updated JVM options, the issue should be resolved. I am not sure if there are any hotfix for this. Not the answer you're looking for? Browse other questions tagged content-delivery web8.5 java or ask your own question.